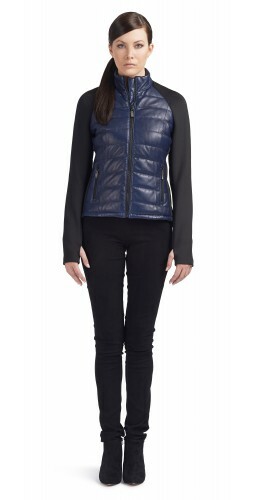 Coreen, an innovative spring look with its sleek lambskin leather puffer and unique scuba sleeves. Optional sleeve thumb insert for greater definition. Zipper accent at lower back.